The Friday 56 is hosted by Freda’s Voice, it involves sharing a small excerpt from the book you are currently reading every Friday and then posting a link to the linky hosted on her site. 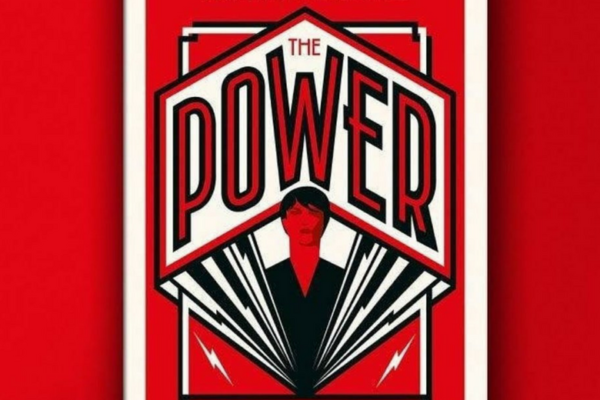 I am currently on page 117 of The Power and am absolutely loving it, there are so many sentences I want to highlight. The book has a really fast plot but also the beautiful prose makes me wish I could do this. So far, it really has it all, it makes me feel empowered, it is a little funny (or maybe satirical?) but it also makes me angry. Because once you get past the whole ‘women shooting electricity out of their fingers’ thing, it is really realistic. This is how the world would react. I see it. The sentence I chose for Friday 56 is just wonderful. So many things happen in history purely because a chance event occurred on a day that people were praying, or working, or not working and were either there to see it or weren’t. Sounds interesting. It is a new book to me. I’ve not heard of it or the author before. I am spotlighting a YA science fiction story this week – What Goes Up by Katie Kennedy. Happy reading! This looks really good. Great to meet you, and hope you have a good reading weekend. One I might have to find a copy of! 🙂 Happy weekend! Hmm. Now I’m very curious. Great cover too.